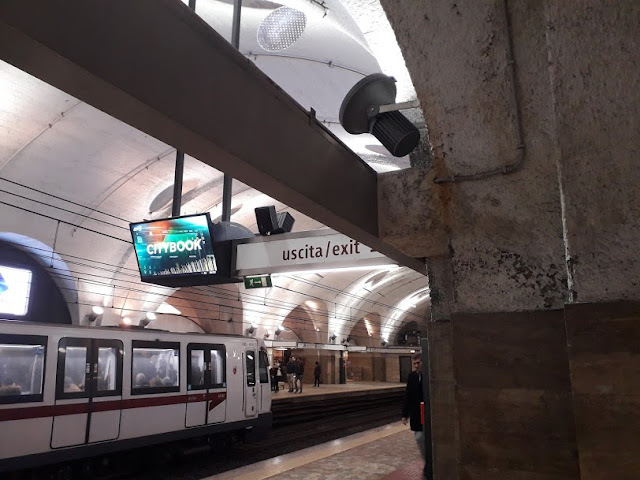 According to a recent survey, 48 percent of Romans were unhappy with the performance of Rome's metro system, while a staggering 63 percent of respondents said they were unhappy with buses and trams. Rome might indeed have one of the worst public transport systems in any major developed city in the world. The metro has only three lines. Trains and buses are old. 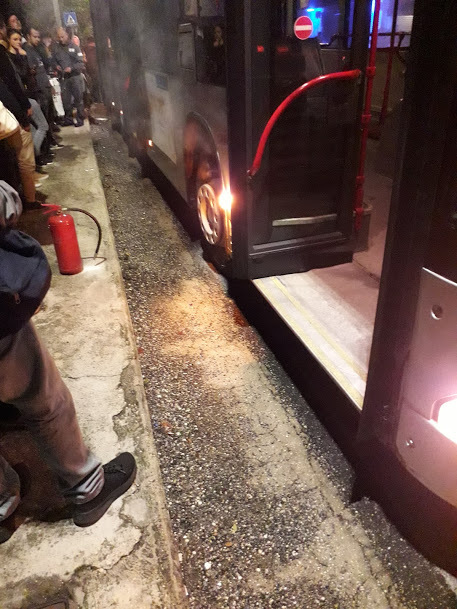 Rome's public transport operator (ATAC) is plagued by delays, strikes, and low performance. Stations tend to be neglected and dilapidated, graffiti often cover walls and trains. By contrast, the Taipei MRT has 5 lines plus a recently opened airport express metro line, as well as 117 stations. According to the 2017 annual report, that year the Taipei MRT had a punctuality rate of nearly 100 percent and reported fewer than 30 delays of over 5 minutes per year. MRT trains and stations are well-kept and futuristic. Buses in Taipei are not all operated by the MRT, so it's more difficult to generalize about public transport because performance can vary depending on the company. 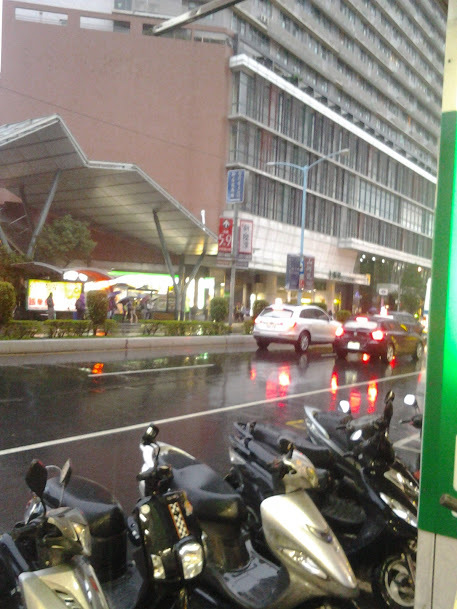 In this post, I will briefly analyze the public transport of four cities: Rome, Taipei, Berlin and Hong Kong. I will focus on the following aspects: profit and losses; ridership; ticket fares; business model. 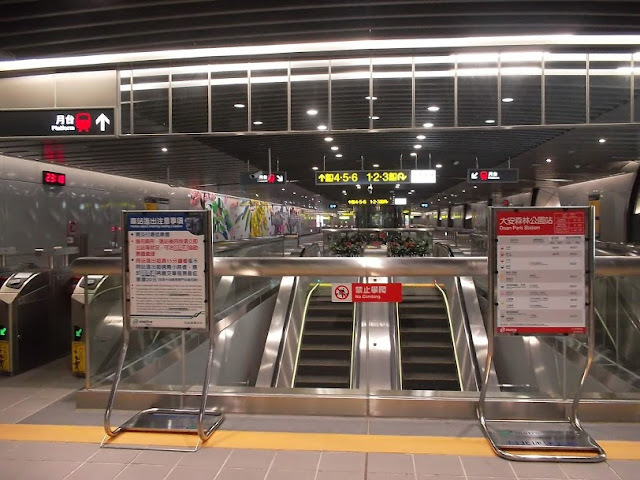 The Taipei MRT may be efficient and well-kept, but for a long time it was not profitable. From the year of its opening in 1996 until 2016 the MRT was losing money. In 2016 the MRT turned a pre-tax profit of NT$1.5 billion for the first time. Profits increased to NT$1.7 billion (about US$55 million) in 2017. 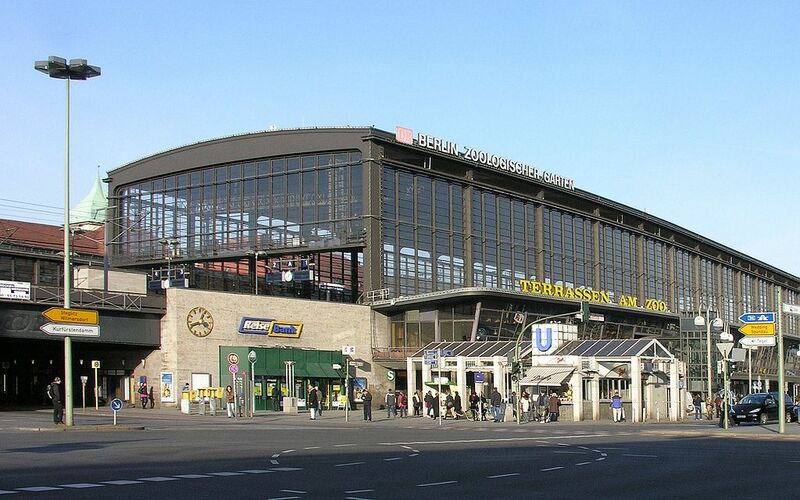 In 2017 Berlin's public transport company (Berliner Verkehrsbetriebe, BVG) posted a profit of 12,9 million euros. In 2017 Rome's public transport company (ATAC) lost 120 million euros. The same year Hong Kong's MTR Corporation had a profit of HK$16.8 billion (US$2.1 billion). Rome is thus the only public transport company among the four that has not been able to turn a profit in recent years, while the Hong Kong MTR is by far the most profitable. In 2017 the Taipei MRT had an annual ridership of 750 million people; Berlin's BVG had a ridership of 1.064 billion people; in 2016, Rome's ATAC had a ridership of 1.1 billion, while the figure for Hong Kong was 1.9 billion. 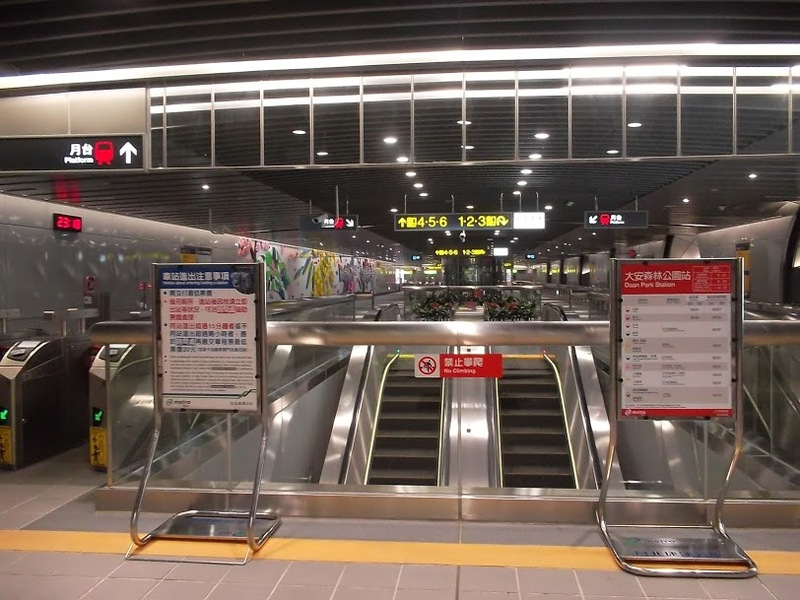 Despite the population of the Taipei metropolitan area being about 7 million (roughly the same as Hong Kong), the Taipei MRT had the lowest number of passengers, probably due to the relatively low number of visitors to Taiwan. Fares for the Taipei MRT and the Hong Kong MTR are calculated according to distance, while public transport in Rome and Berlin is based on standardized tickets. Although the systems are quite different, let's try to make a comparison. A trip from Nangang Exhibition Center to Zhongxiao Dunhua on the Taipei MRT costs NT$55 (US$1.79) and NT$44 (NT$1.43) if you pay by IC card (Easy Card). This means that if you live in Nangang Exhibition Center and work in Zhongxiao Dunhua, you have to pay around NT$1056 (US$34.33) per month. If you use the MRT frequently, you will spend more than that. A shorter trip, from Yongning to Zhongxiao Dunhua, costs NT$45 and NT$36 (US$1.17) by IC card. Bus fares are NT$15. In Hong Kong, a trip from Tuen Mun to Causeway Bay costs HK$37.5 (US$4.79) and HK$27.5 (US$3.51) by IC card (Octopus Card). This means that if you live in Tuen Mun and work in Causeway Bay, you will spend about US$70.2 (if you work 5 days a week). A shorter trip, from Fortress Hill to Tsim Sha Tsui, costs only HK$14 (US$1.79) and HK$12.3 (US$1.57) if you pay by Octopus Card. Bus and tram fares vary considerably, but usually they are much cheaper than the MTR's. Berlin's BVG offers various kinds of tickets. Berlin's metro network has three zones: A, B, and C. Prices depend on the zone. A single ticket for ABC costs 3.40 euros (US$3.87), for AB 2.80 euros (US$3.19). A monthly ticket for AB costs 81 euros (US$92.21), for ABC 100.50 (US$114.40). Tickets can be used on the metro, buses and trams. Rome has a similar system as Berlin, but prices are very different. A single ticket costs 1.50 euros (US$1.71), valid for the entire area of Rome, including nearby towns like Ostia. A monthly ticket costs 35 euros (US$39.84). Tickets are valid for the metro, buses and trams. A few conclusions can be drawn from this brief overview. Hong Kong and Taipei penalize long-distance and frequent travellers. Someone who lives in the suburbs and frequently uses public transport will pay much more than someone who lives near their workplace or don't use public transport often. Rome's public transport system, despite having the worst performance, is by far the cheapest. You can get anywhere in Rome as many times as you want with just US$39.84. Platform in a Taipei MRT Station with the characteristic protective screens. Both the Taipei and Hong Kong metros have screens. 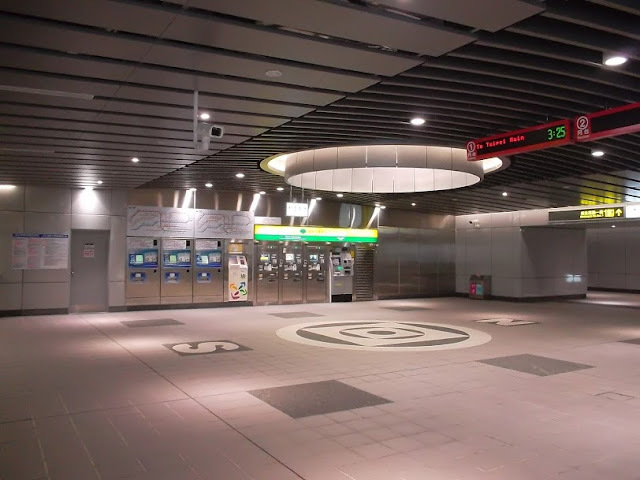 This model was established during the British colonial era in the 1970s to finance the first MTR line on Hong Kong island, which opened in 1979. Retail plus property means that the Hong Kong MTR is granted "land development rights alongside railway alignments and build[s] integrated communities incorporating residences, offices, shops, schools, kindergartens, green spaces and other public facilities above ... stations and depots." This allows the MTR not only to develop huge infrastructure and housing projects, but also to be a major real estate investor. This makes sense because the MTR can build shopping malls and housing estates that generate demand for services and profit. 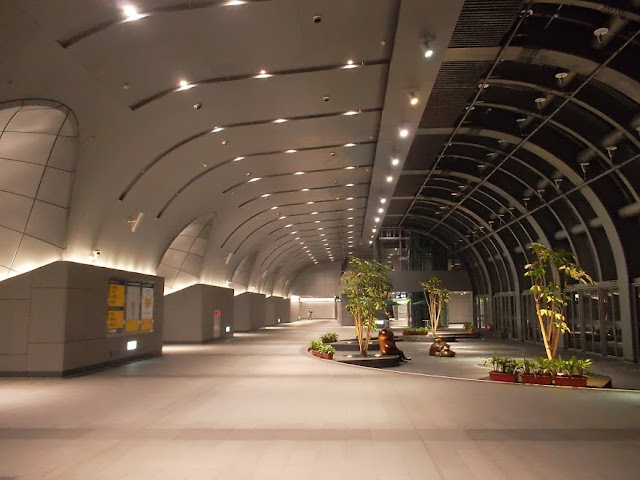 This is a typical example of a Hong Kong MTR retail plus property development project. The MTR built an underground station (an entrance is seen on the left side), on top of the station a shopping mall, and on top of the shopping mall a number of residential skyscrapers. Residential skyscrapers on top of the shopping mall. The large number of people living in these residential estates generates additional demand for the shopping mall and the MTR. As a matter of fact, in 2017 less than one-third of the MTR's HK$55.44 billion in revenue came from its local transport operations, while the rest derived from real estate in and outside of Hong Kong. 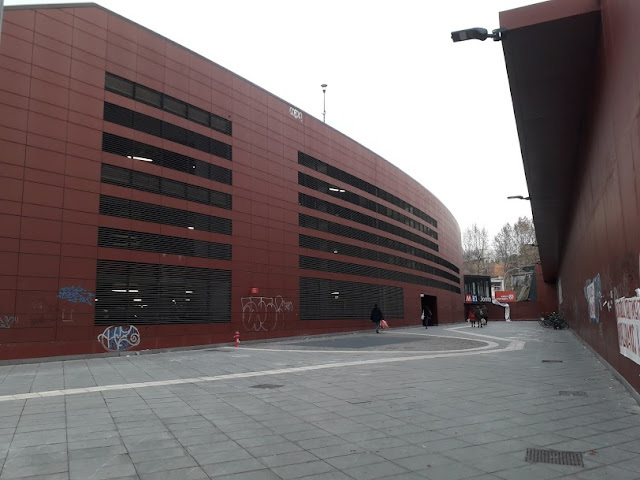 Public transport companies around the world usually only make a profit from real estate inside stations. According the Taipei Times, in 2016 the Taipei MRT "branched out its business operations, including initiatives to rent office space at its stations." Rent from office space generated NT$68 million and rent from online vendor Catch Power Co’s merchandize retrieval boxes generated NT$15 million in revenue. The BVG, too, diversifies its business model to include the renting of commercial space and advertising space in its stations. However, neither the Taipei MRT nor the BVG can be said to be major real estate investors, especially because they are not involved in housing projects. Rome's ATAC, by contrast, seems to have a simple traditional business model based solely on selling tickets. It seems clear that the Hong Kong MRT is an example of efficiency and profitability that other public transport providers should copy. However, Hong Kong's notoriously severe housing shortage allowed the MTR to build enormous housing estates that might face resistance or not be feasible in cities where high-density residential skyscrapers are not common. 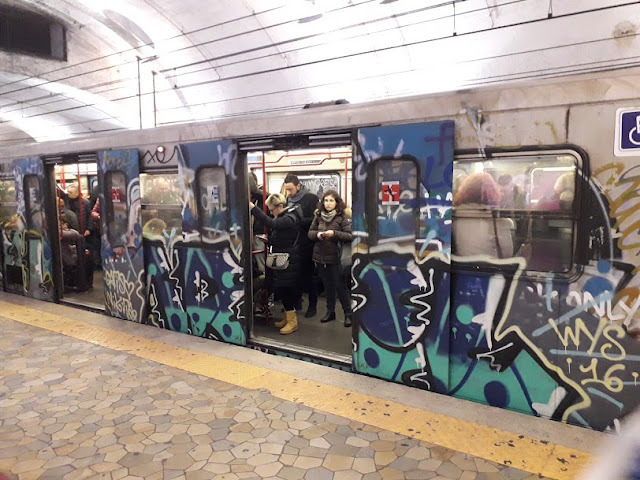 It must be pointed out that Rome's ATAC, despite its below average performance and neglected infrastructure, provides extremely affordable means of transportation for people in the low income brackets, in a city where almost 29% of residents have an income of just 10,000 euros per year. I'm not sure if your definition of 'profitable' is always right. The BVG in Berlin for example receives 400+ millionen Euro / year in subsidies. I think it's important to define whether a real profit was made or only a profit after subsidies. Indeed you're right, actually Taipei, Berlin and Rome all provide subsidies to their public transport, so technically they owe money to taxpayers. I avoided going too much into the details and just mentioned the profit that they made regardless of government subsidies. I I just wanted to point out that Rome is underperforming financially compared to the other cities.